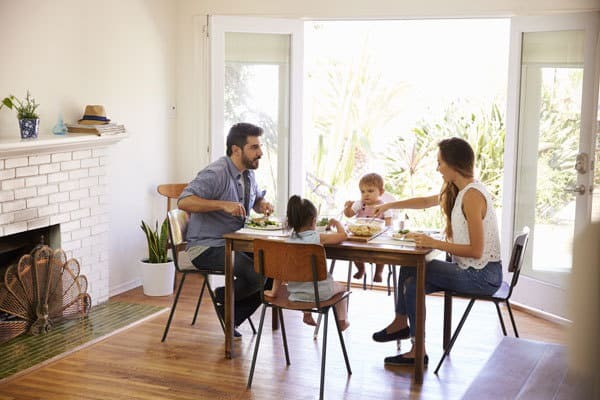 One of the most important times of the day for us as a family is sitting down for a meal together in the evening. 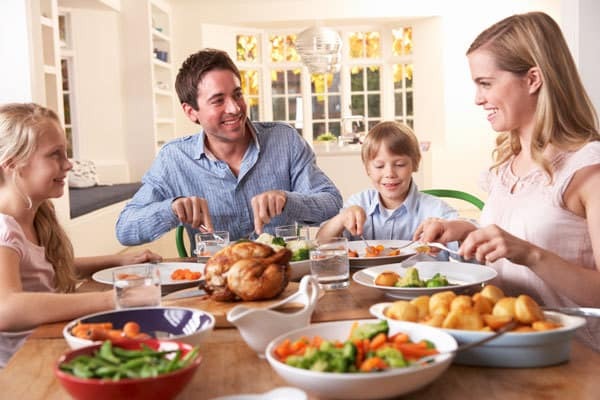 A long time ago we made the decision that as much as possible that meal would be cooked from scratch avoiding processed foods and also encouraging healthier eating and teaching the children to cook. We try and have a variety of meals from Quick and Easy Mid Week Meals, to meals that we can prep ahead and freeze to those that take a little longer and even ones that we cook and eat outside. 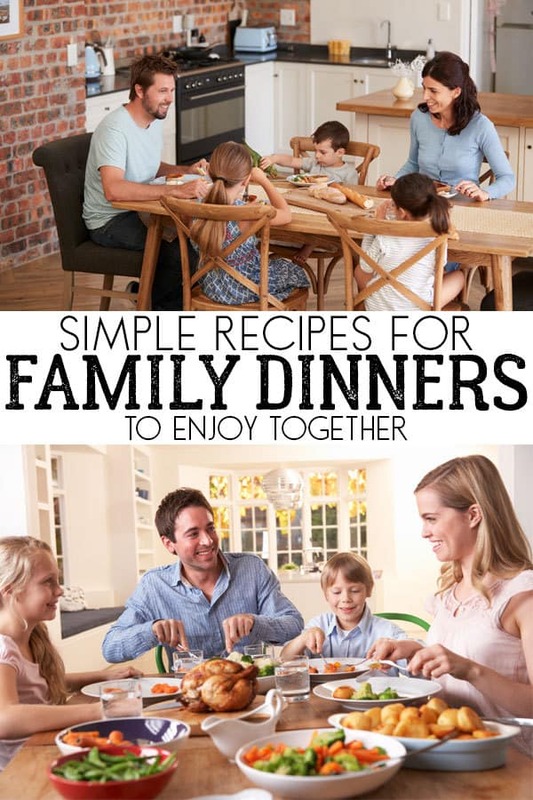 These simple and easy family meal ideas are straight from our kitchen and recipes that we have tried and the whole family have enjoyed. 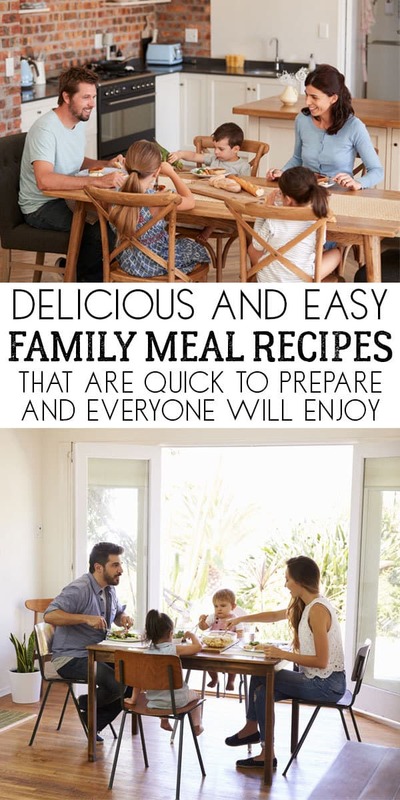 These are meals that we know are quick and easy can be thrown together in 30 minutes or less and frequently form part of our meal planning as a family. 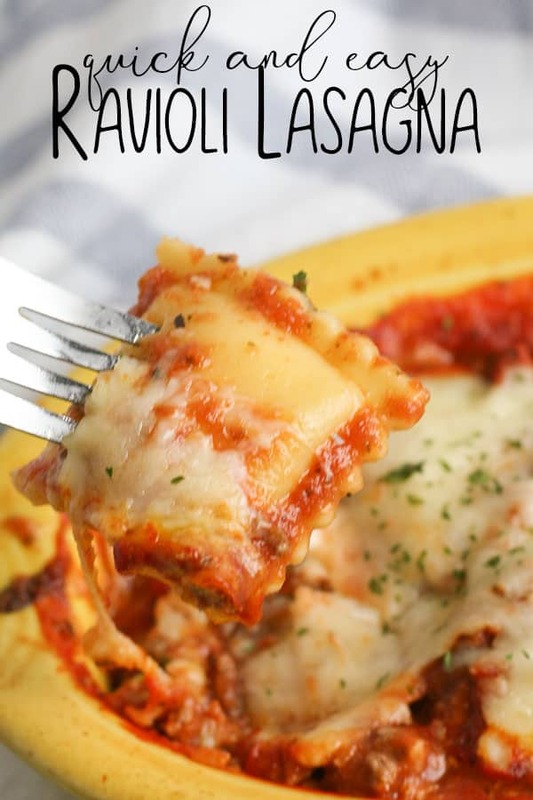 There really is nothing easier than this Ravioli Lasagna it’s SO simple to make and you can use our homemade meat sauce (just scroll down for the recipe for that) or you can just use a jar instead. 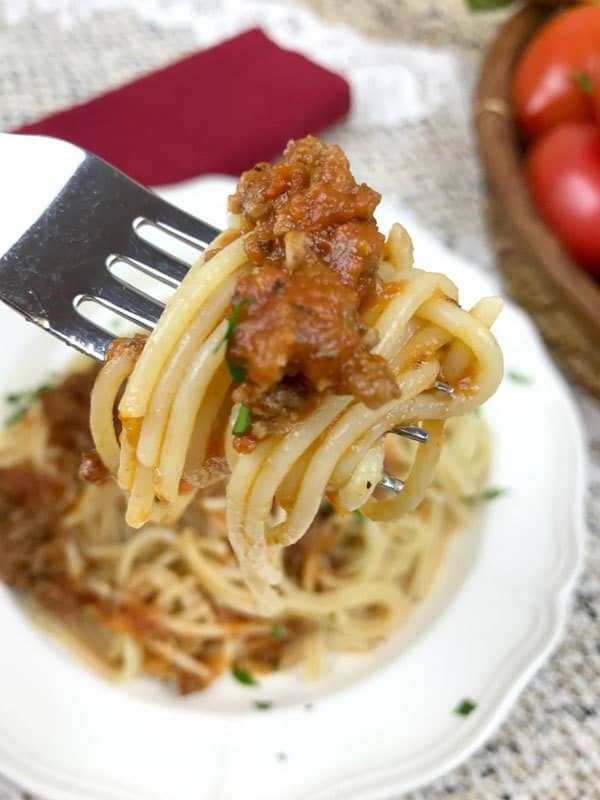 This quick and easy version of Spaghetti Bolognese is one of our favourites and tends to appear on our menu plan at least once a week. It takes around 30 minutes to prep from start to finish and we often serve it with a side salad. 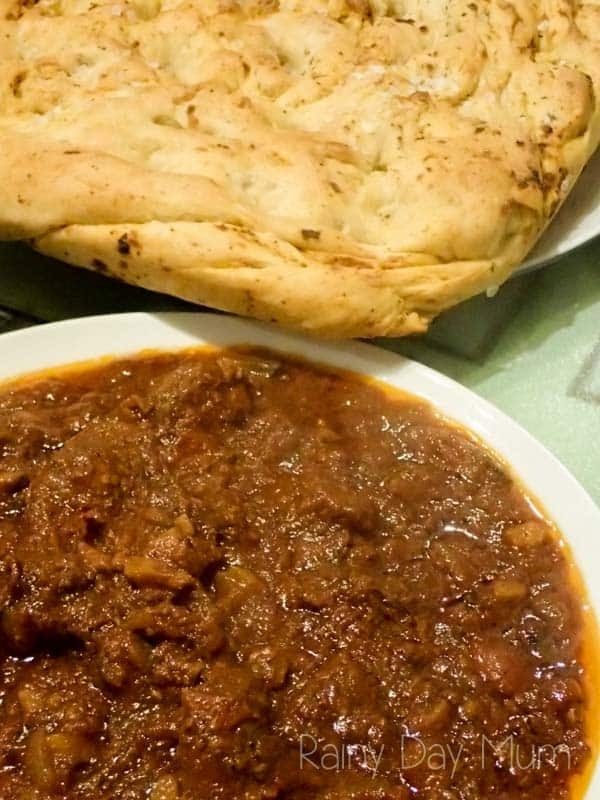 It’s also great that you can freeze ahead and then use again another week or even mix in some chilli sauce and kidney beans for a very quick mid-week Chilli Con Carne that everyone will eat. 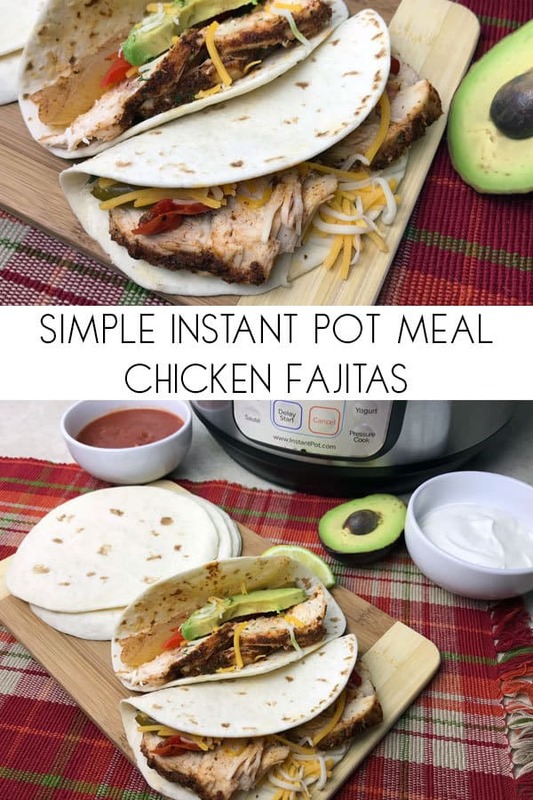 If you have an instant pot then these easy Instant Pot Chicken Fajitas as so simple to make and perfect for Taco Tuesday! 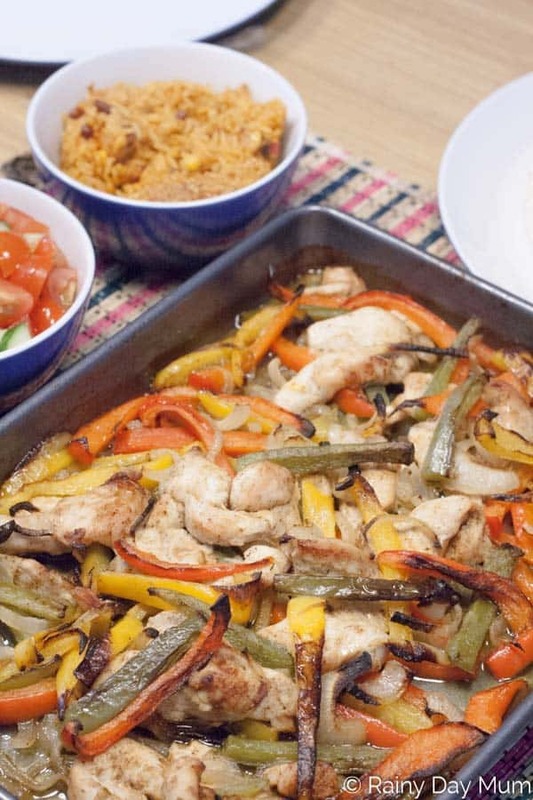 If you don’t then check out our Sheet Pan Fajitas another favourite meal of the kids. Our sheet pan fajitas can be made in 30 minutes – or you can prep a batch ahead of time freeze and then it’s just 20 minutes from placing in the oven to the table. 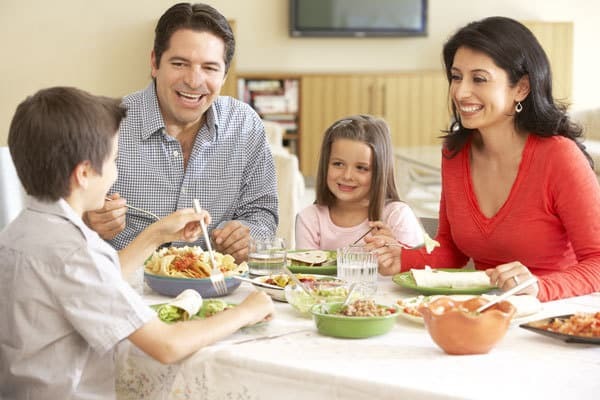 Of course, if you use the guacamole that is so easy the kids can make you can have a homecooked family meal from scratch with sauces and sides in the same amount of time. 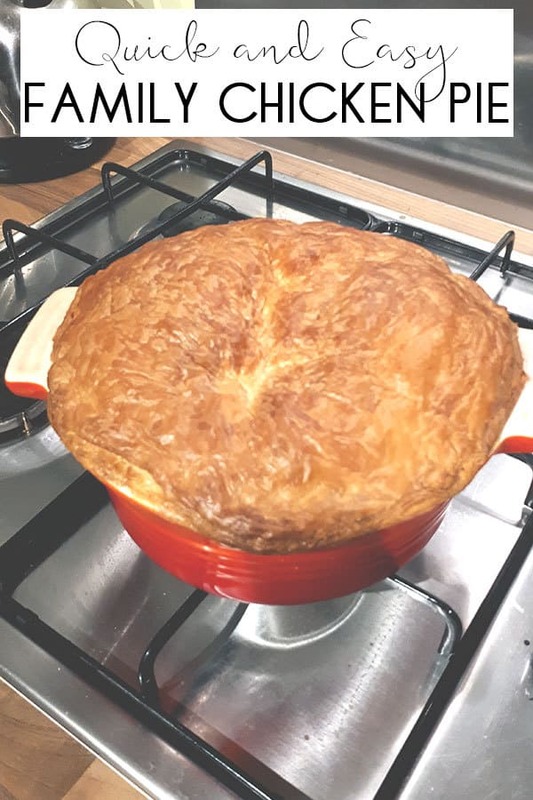 Ready in 30 minutes our Family Chicken Pie is easy to make – prefer to have your own or share one between the kids then check out the individual chicken pot pie below. 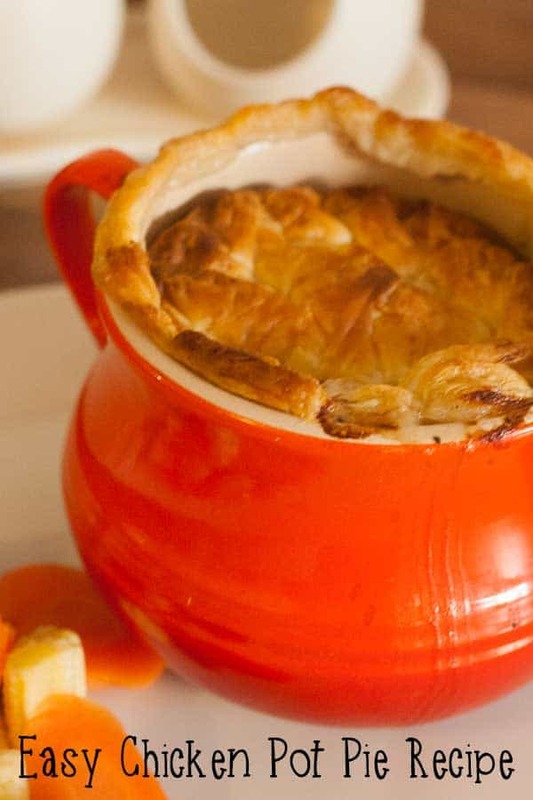 Another family favourite is our easy and quick Chicken Pot Pie Recipe. Although technically it can take a little longer as the pastry can take a while to cook it doesn’t take long to prep and then whilst it’s cooking I have time to help with homework, set the table and do a quick tidy up around the house before dinner. I often have little helpers in my kitchen, and when they want to help meals can take a LOT longer to cook than they should. But our Sausage and Bean Casserole is easy for kids to help make and can be made in under 30 minutes no problem. Ideal when you want some comfort food too as it’s delicious and warming. 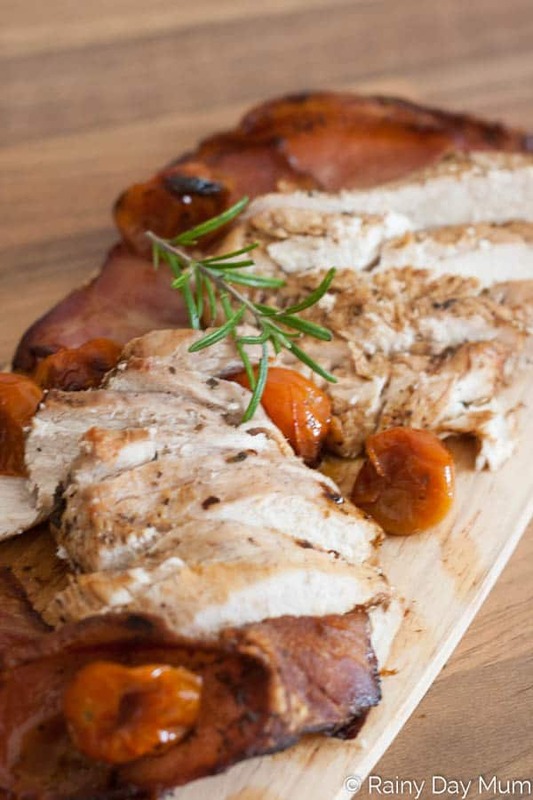 So it takes a little longer than 30 minutes to prepare but sometimes we do have a little more time and this Cuban Inspired Chicken and Smokey Bacon Tray Bake is simply delicious. I love the ease of cooking in a tray as it’s one of those meals like the chicken pot pie where we can do the prep and then leave it to cook whilst I do everything else that needs to be dome on an evening. 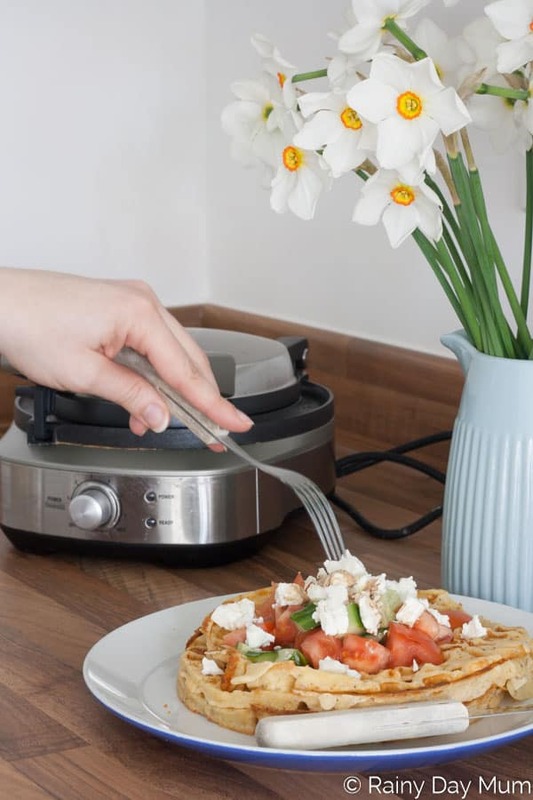 When the kids and I want something that is a little different I dig out the waffle maker and make a savoury Greek flavoured Waffle. It tastes delicious and although I love my sweet waffles I do really like this one for easy mid-week meals especially after swimming lessons in the summer. The slow cooker is perfect for using to put together some delicious family dinners. It’s easy to throw everything in at the beginning of the day, head out and leave it doing it’s thing whilst you do yours. 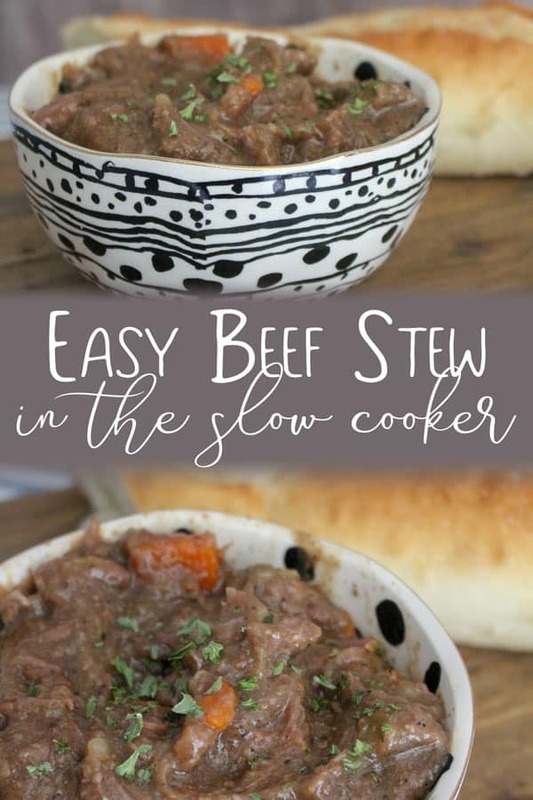 Our easy Beef Stew in the Crockpot is one of our favourite family comfort foods we tend to have everything we need in the cupboard or in the freezer and just throw it all together. Perfect for warming up after a day in the rain. Nothing beats Pizza Night and even though we have two oddballs in the family that like their pizza without cheese it’s still a favourite. I tend to make my own pizza dough it’s easy to make either by hand or in the bread maker. 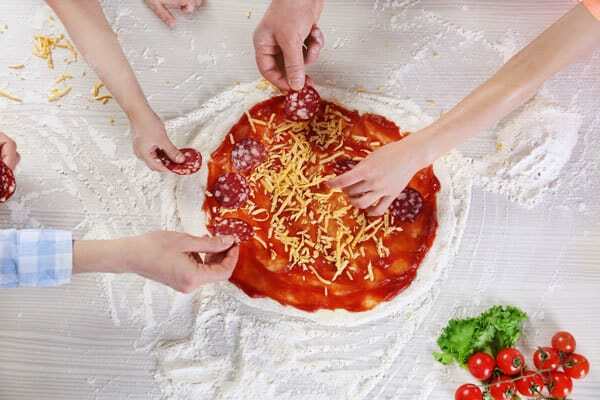 So check out the recipe for Pizza Dough and then the different topping suggestions that we have tried and liked. Although not a huge fan of lamb, I do like Shepherd’s Pie. 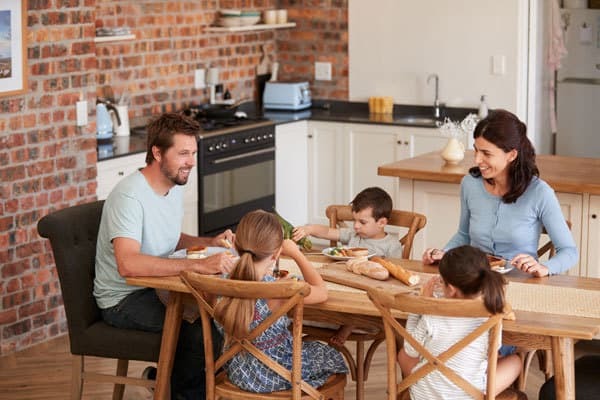 But mixing up the minced lamb, making the potatoes etc… can take time and with after-school activities, finding time for me and trying to get the kids to get to bed in reasonable time means that I don’t have time to make it often. 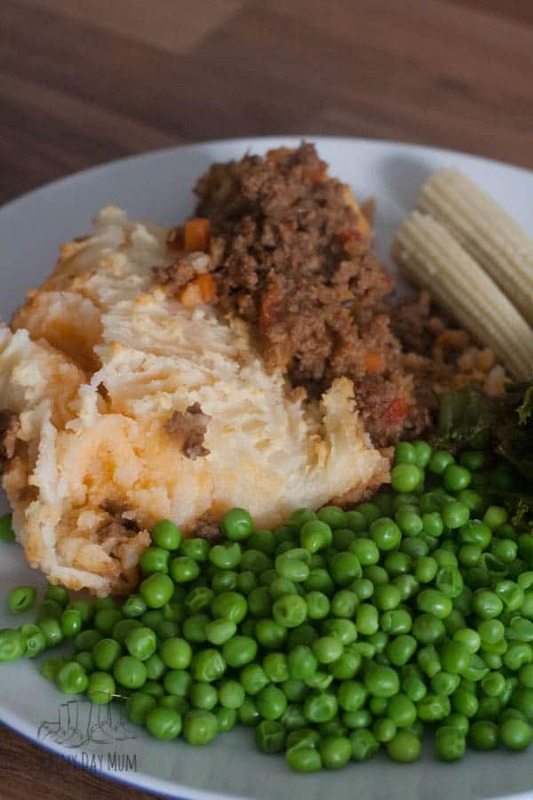 Then I discovered that you could freeze it all from the minced meat to the mashed potatoes and put our own spin on it with this Mediterranean Flavoured Shepherd’s Pie. Make in the slow cooker, freeze to have later once divided. Sounds ideal, doesn’t it! And our Slow Cooker Italian Spicy Sausage does exactly that and it tastes amazing. With the nice weather, we like to cook outside. I throw together a salad, prepare the meat and throw it on the grill. 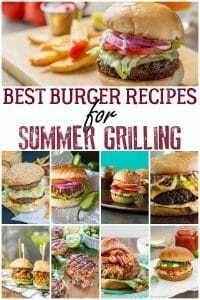 These recipes are our go-to summer Barbecue recipes. We love chicken, it’s lighter than beef and slightly healthier so we’ve been experimenting with different flavours this summer. 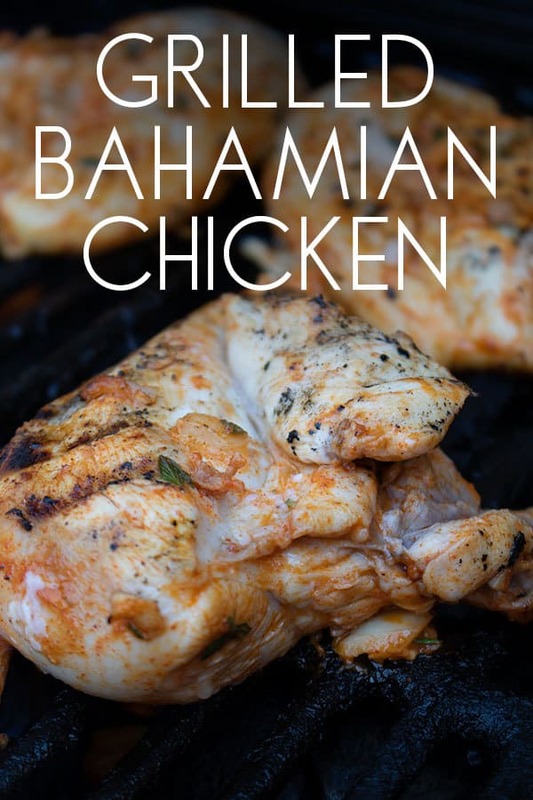 This Bahamian Grilled Chicken tasted amazing and has quickly become a firm favourite of my husbands who liked the slightly spicer marinade we used. Inspired by our trip to Cyprus last year Halloumi cheese has become a favourite of my daughters and I and we love putting together these Chorizo and Halloumi Skewers for grilling. My husband favourite is this Grilled Pork Chop and especially the basil and pine nut crust. Although based on a simple pesto as he doesn’t like cheese I miss out the cheese and him and my son (who also doesn’t like cheese love it). 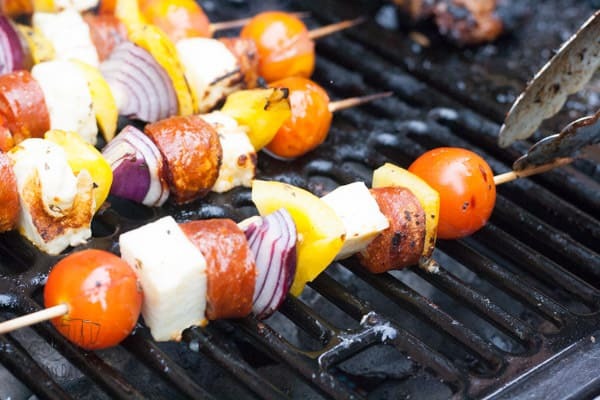 My kids often help with skewers and although the Chorizo and Halloumi one above is mine and my daughter’s favourite as the other two don’t like cheese these easy Barbecue Chicken Skewers are preferred by the rest of the family. 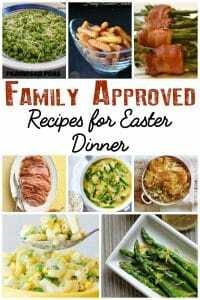 Inspiration for Easter Meals for Kids that the whole family would enjoy. 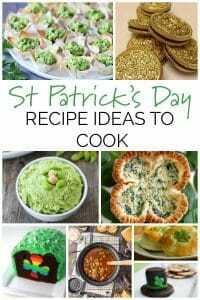 St Patrick’s Day Meal Recipes including some delicious dinner ideas for families. Although I love my apple cakes and desserts, apples are also great in savoury dishes. 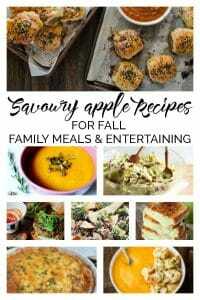 Check out these Savoury Apple Recipes for Family Meals to enjoy together. 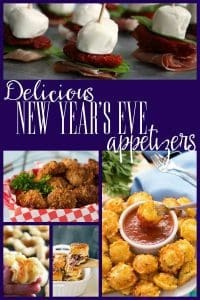 Prepare for family coming over for New Year’s Eve with these easy Appetizers that would go done well for a get-together or even a party. 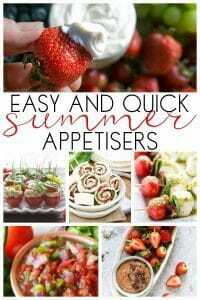 Entertaining family in the summer then check out these summer appetisers that the kids and I have tried and tested. 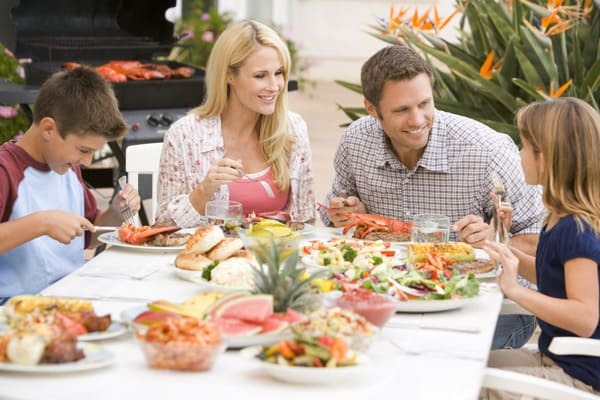 Perfect for a garden party or spur of the moment barbecue with friends.